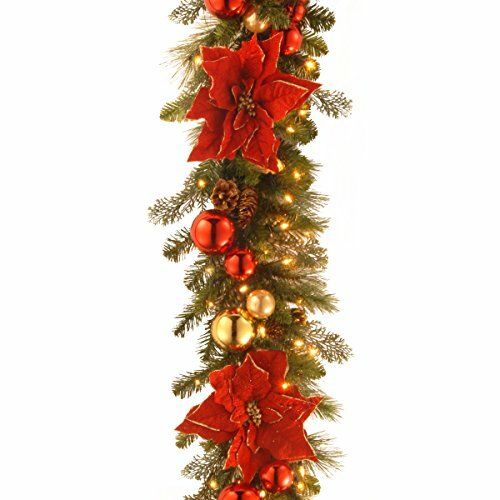 The home for the holidays garland is part of the decorative collection line of holiday decorating ideas. This attractive wreath is trimmed with pine cones, red and gold ball ornaments, and Poinsettia flowers. It is pre-strung with 100 clear lights that remain lit even if a Bulb burns out. This indoor/covered outdoor garland can be displayed over doors, windows, fireplace mantels, fence, or stairway railings.